Looks like another GREAT issue of Full Circle Magazine just arrived! 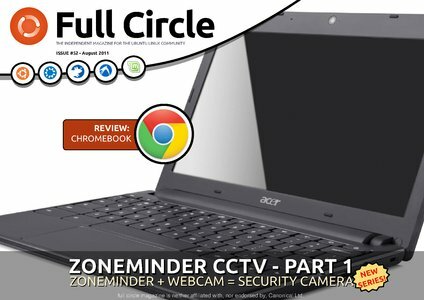 Its packed with a ChromeOS notebook review, a clever technique for using LibreOffice spreadsheet as a database, the genealogy app called GRAMPS and a nice how-to on Zone Minder which is an app that has always given me problems. Full Circle – the independent magazine for the Ubuntu Linux community are proud to announce the release of our half-centenary+2 issue. * How-To : Program in Python – Part 26, LibreOffice – Part 7, Ubuntu Development – Part 4, GRAMPS – Part 1, and Ubuntu For Business & Education. * Linux Lab – ZoneMinder CCTV – Part 1. * I Think – Would you like to see an audio editing series with Audacity?